We are so excited for Bakie Goodman who was drafted by the Seattle Sounders in the MLS Superdraft. 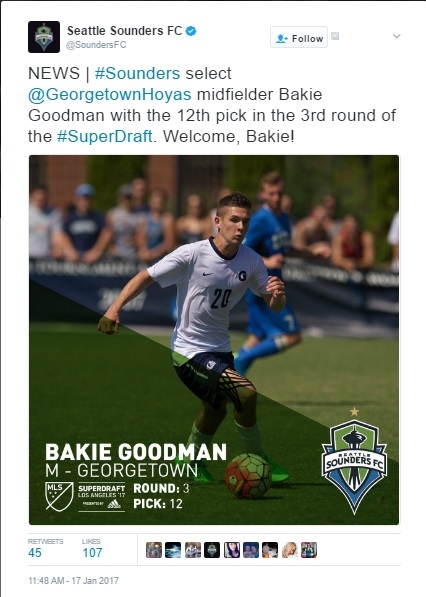 Bakie is a Chargers SC Development Academy Alumni (2011-2013) and then went on to play collegiate Men's Soccer at Georgetown University, Washington, D.C.
Congratulations, Bakie!! Keep up the hard work!